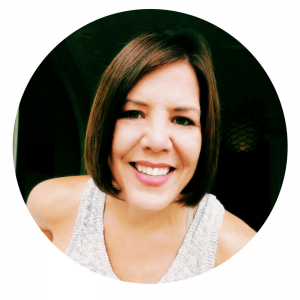 Well, this post has been pending for a ridiculous amount of time, like almost two years! 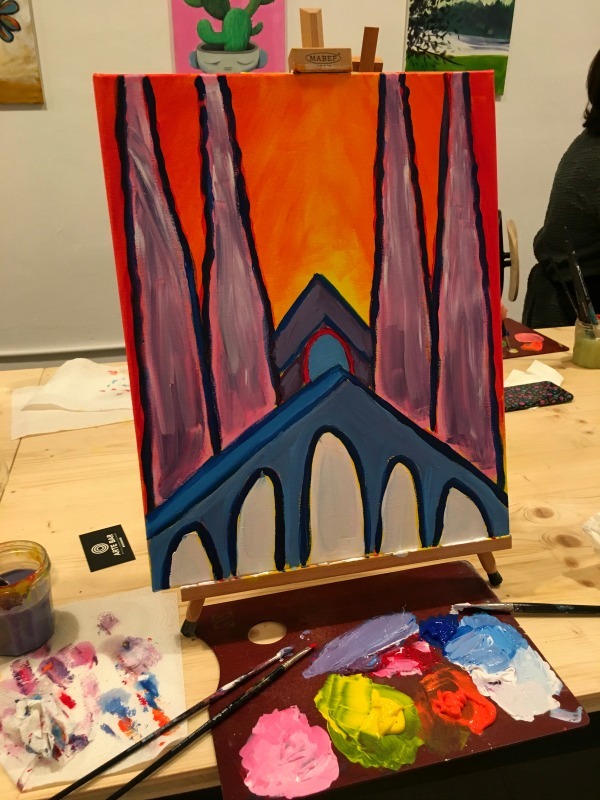 My first time painting at Arte Bar was a few months after we had moved to Barcelona two years ago, and it was at a Moms Night Out organized by a friend from our children’s school. 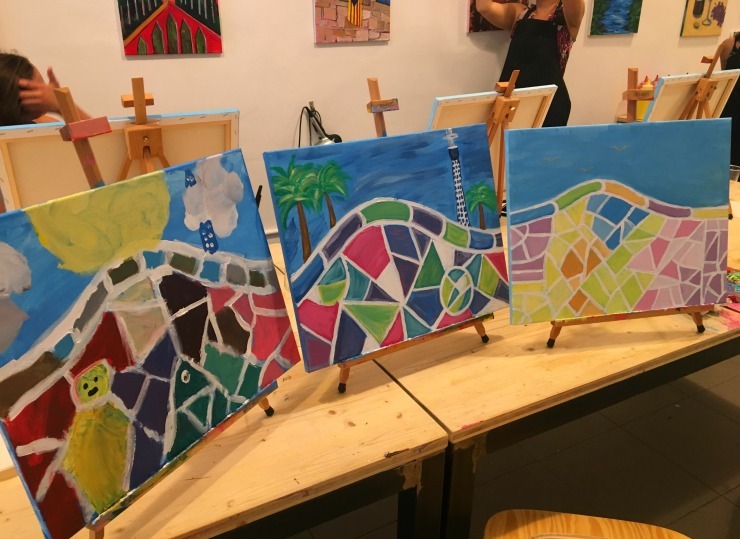 Arte Bar Barcelona is the first paint and wine night experience in Barcelona and owned by a lovely couple originally from California, Alisa and Bruce. 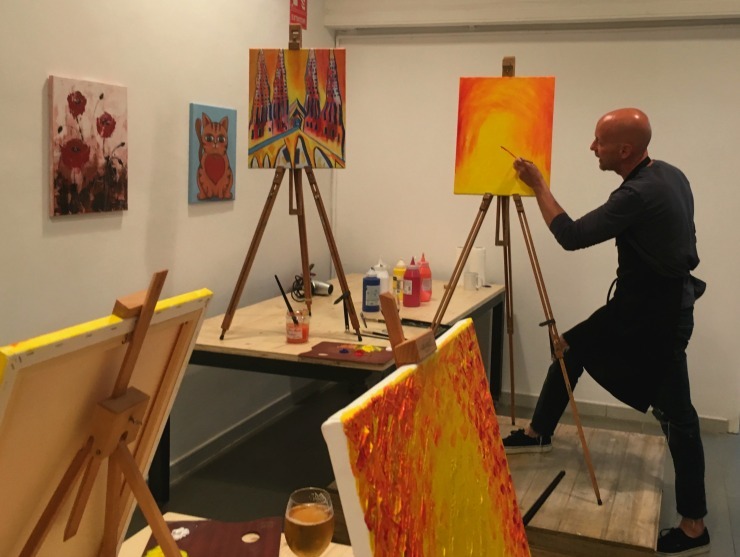 They have since lived in France, owned an art camp an hour and a half north of Barcelona near Girona, but now live in Barcelona where they give people a memorable paint night experience at their Arte Bar. 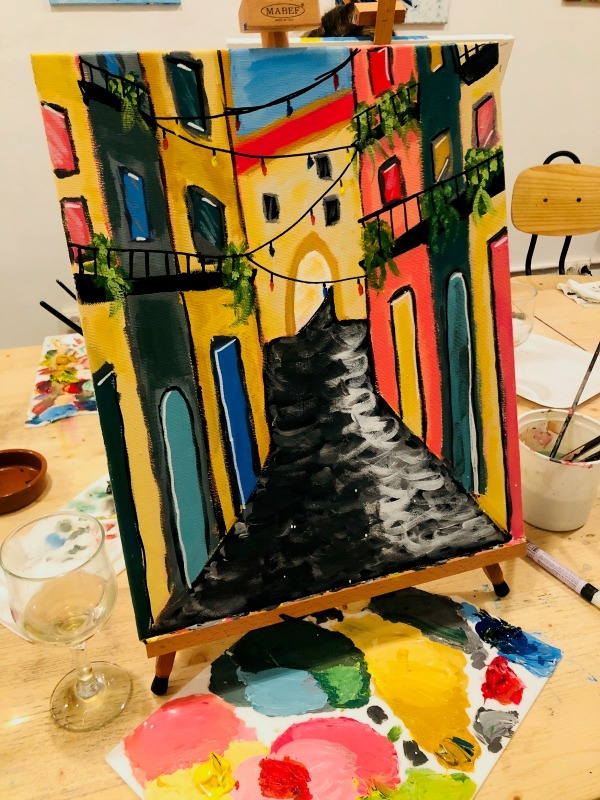 When you arrive at Arte Bar you will immediately see all the colorful paintings on the walls and a long table with blank white canvas, paint brushes and the primary colors that you will need to start with. After grabbing a glass of wine and doing a little chatting, everyone takes their seats and the class begins. 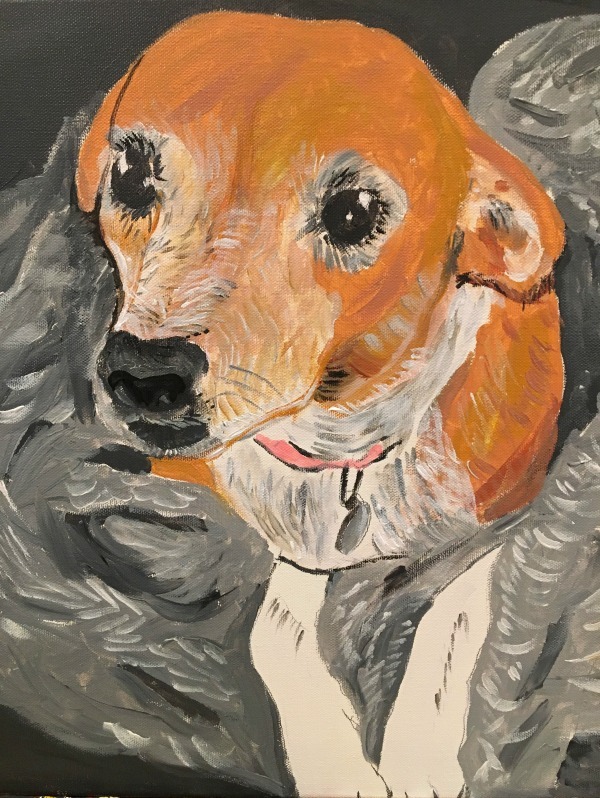 Bruce stands at the front of the room with an example of that night’s painting as well as a blank canvas and he guides you through the painting step by step. It is not overwhelming or hard, all you need to do is follow his instructions and use your own creativity and imagination to make the painting your own. Alisa and Bruce speak English, French, Spanish and some Catalan so they can translate if someone needs help. 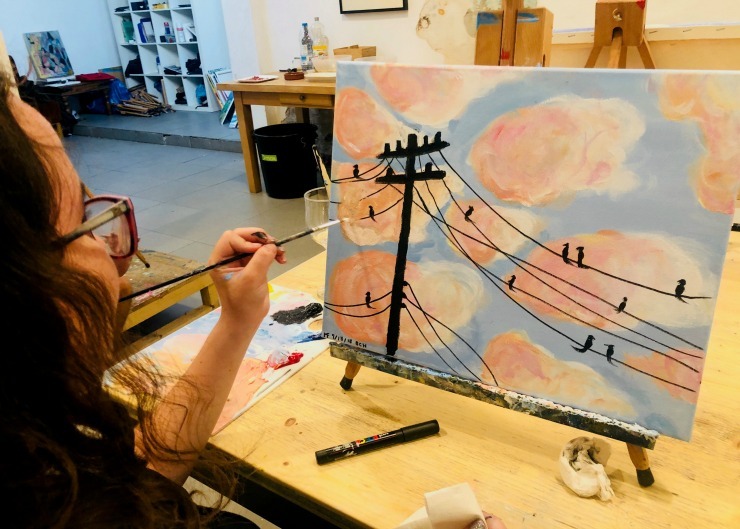 Everyone’s painting will be different and that is what makes this class so much fun, to see all the different ways one painting can turn out! 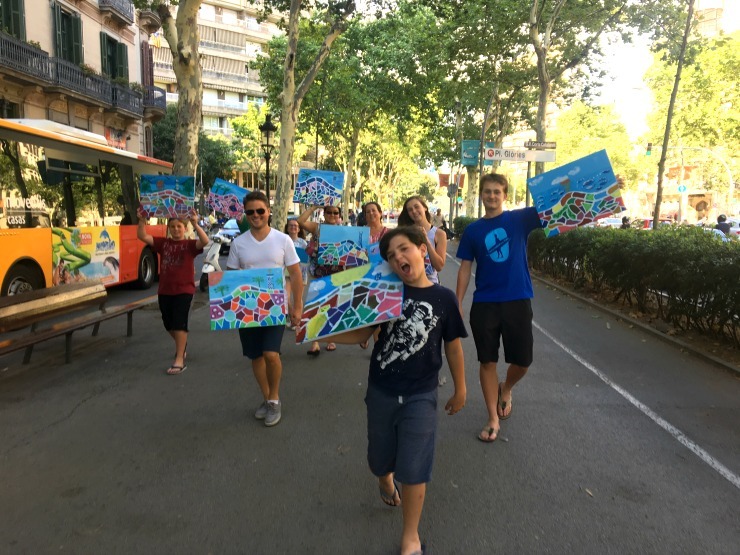 For anyone visiting Barcelona, your group may want to paint the iconic sites of Barcelona like La Sagrada Familia, Park Guell or the neighborhood El Born, but Arte Bar also offers a variety of other options as well, like Majestic Trees, Flamingos, Waves, Sunflowers, Palm Trees, Tuscany, Beach Vibes and much more. 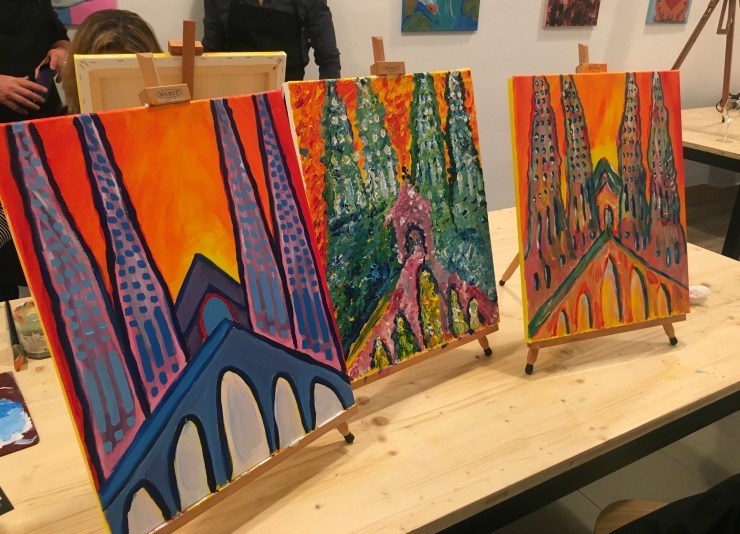 I have painted many of the Barcelona’s iconic sites as well as my dog Canela, at one of their special Paint Your Pet Nights, and recently I just painted birds on a wire with my daughter McKenna. 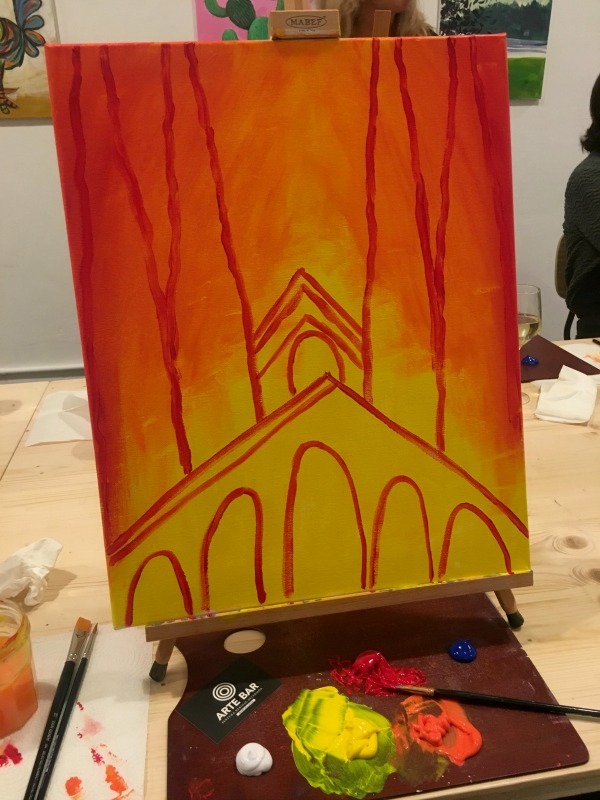 No matter what you paint it makes for a really fun night out and gives you a special keepsake to take home. 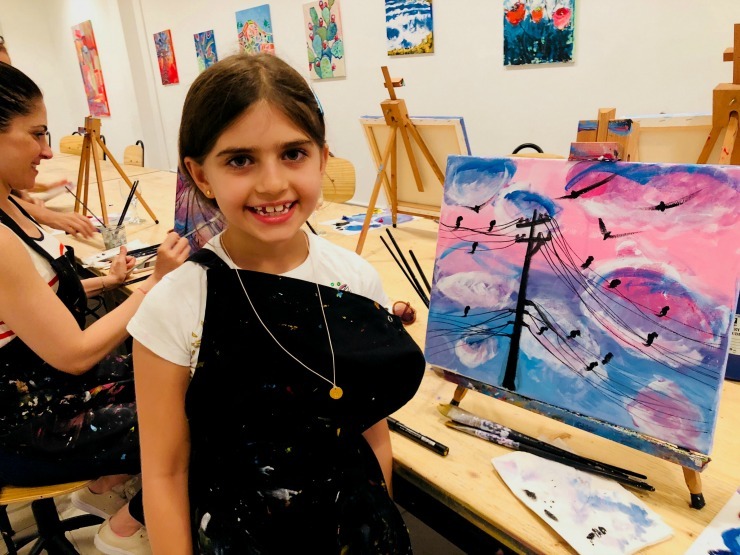 To book your spot you can visit their website to view the calendar of classes and paintings, or if you have a large group or are painting with children you will need to book a private event. If you book a private event then what you paint is up to your group!